The 53rd International Children's Games will be held over five days from Tuesday 9th July to Sunday 14th July 2019 in Ufa, Russia. 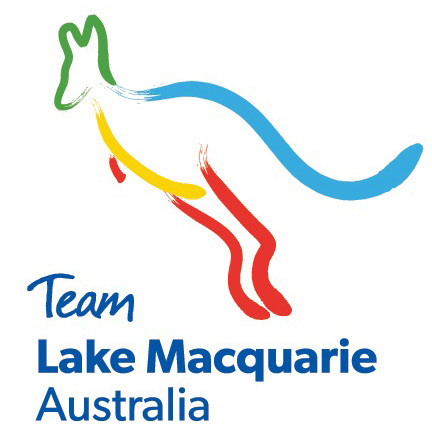 Lake Macquarie City Council in partnership with the Hunter Academy of Sport are pleased to announce that we will be sending Team Lake Macquarie to the Games. The International Children's Games (ICG) is a recognised member of the International Olympic Committee (IOC) and is the largest multi-sport youth games in the world, delivering a unique sports and cultural experience for young people. The Games brings together an alliance of cities and individuals from around the globe who have a common goal of forming friendships and peace through sport. Lake Macquarie was the first City in the southern hemisphere to host the games, winning the bid in 2010 to host the 48th Summer International Children’s Games in December 2014, which was an exciting opportunity for our region and state and an abundance of success for the City. ICG provides a unique opportunity for young local athletes to compete in international competition, make new friends and through a shared love of sport, develop an understanding and respect for people from other cultures. All athletes must be 12 through 15 years old to participate in the Games. Only athletes born 2004, 2005, 2006 may compete. Entry is restricted to those athletes who reside in the Lake Macquarie area, or athletes who attend school in that area. An information session will be held at Lake Macquarie City Council at 4.30pm on Tuesday 13 November, 2018. This session will be open to any interested athletes and their parents. We are seeking experienced coaches to volunteer for the role of Head Coach Team Lake Macquarie in each of the above sports. You will be involved in the recruitment and team selection, training schedules and supervision of the athletes for the duration of the Games, which will include staying onsite at the athlete’s village. You will also be required to attend team meetings and liaise with the ICG 2019 Technical Committee. The athletes and coaches will be accommodated in the Athlete’s Village 9th July to 14th July. We are anticipating arrival in Moscow on the morning of 6th July where we will spend 3 days sightseeing (including a half day city tour) prior to the Games. On the 9th July, we will fly to Ufa and athletes and coaches will transfer to the Athlete Village for the duration of the Games (5 days). Parents and supporters will remain in a hotel in Ufa. We will spend 2 nights together in Ufa after the Games, prior to departure on the 11th July. All return flight will be Emirates via Dubai and along with accommodation, breakfast, sightseeing and transfers are included in the tour cost. Families are free to make their own travel arrangements at the conclusion of the Games or to travel home with the team. Parents and supporters are more than welcome to join the tour. Unaccompanied athletes will be under the care of Head of Delegation and coaches. At this point in time, the all-inclusive levy will be around $4,600 for athletes and $4,850 for parents and supporters. Athletes will also be required to purchase uniform. Firm costings will be known when final numbers are determined. There will be some team fundraising to assist in these athlete costs.